We are recruiters of Information Technology, Engineering, Executive roles and more. We provide temporary professional staffing and consultative services to meet our client driven demand. 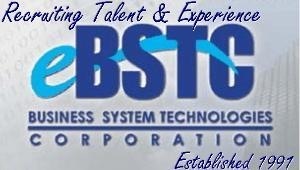 Our competency is Talent Acquisition, Contract Staffing and Executive Search. Established in 1991, our reputation is based upon recurring success and relationships with impressive candidatesand clients. We are recruiters of key professionals, we accept our client's demands as our mission. We develop and maintain productive, postive relationshps with consulative experts, our clients, employers and potential employees in an effort to meet goals collectively and successfully. We openly welcome members of the Software Contratrators Guild to consult with us.